Editor’s note: This week, I’m running a week-long tribute to some of my favorite players, stretching from my earliest days to the present. He’s short. Not weird short, but certainly short for a baseball player. 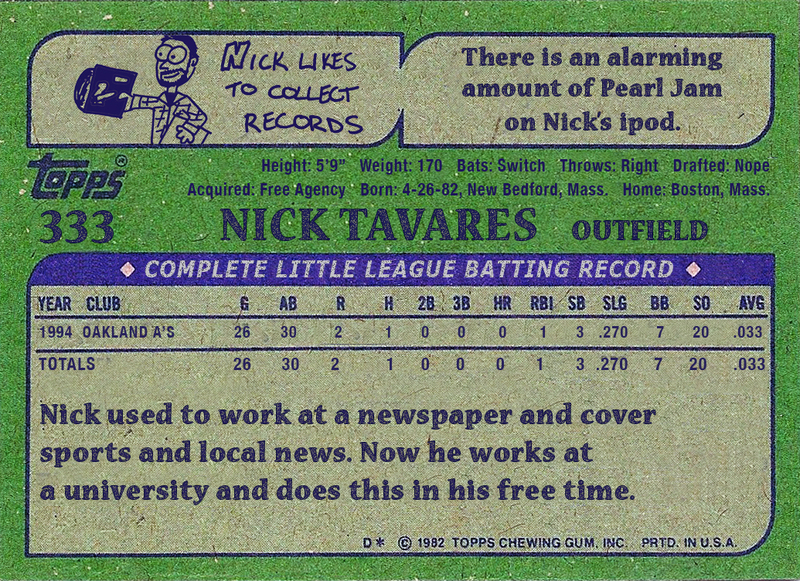 He’s one of the few shorter than me in the Majors, at least. Jason Varitek was and will always be a classic. When Pedro Martinez left the Red Sox following the 2004 season for Flushing Meadows and the New York Mets, I followed him to a degree, paying close attention to his exploits for my favorite disaster franchise in baseball. But the need to shift to a new player to follow day-in and day-out was a necessary decision. It was also an easy one. 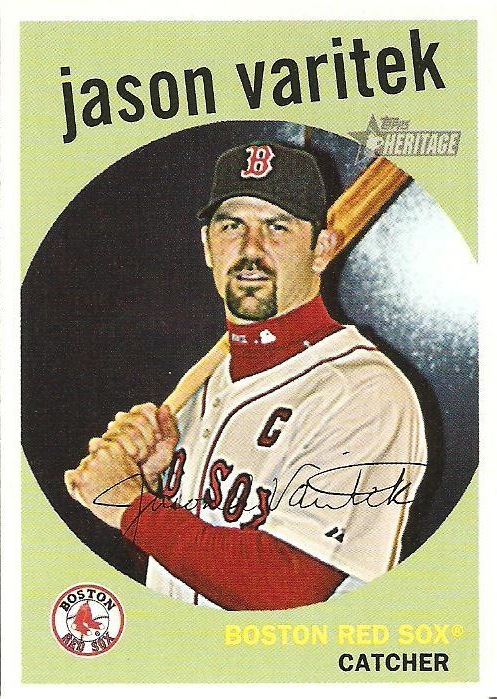 Since his breakout season in 1999, where he wrestled the starting catcher’s job away from Scott Hatteberg, Jason Varitek had been a stalwart of the Red Sox. He served as Martinez’s battery mate for most of the pitcher’s starts, was lauded for his ability in handling the pitching staff and appeared to be a rock-steady presence behind the plate. In 2003, Varitek made the jump from solid catcher to Major League elite, hitting 25 home runs and helping Boston form one of the most terrifying lineups in baseball history, one through nine. 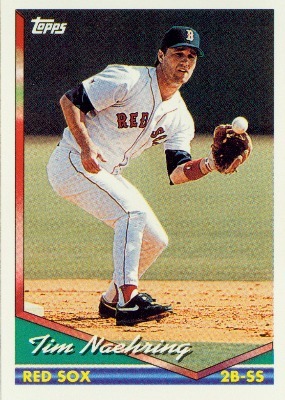 At a time when I had few new baseball cards, this one came to me in a cereal box, I believe. I was sitting at the bar in a 99 with a couple of friends for Game 3 of the 2003 ALCS. It was a Saturday afternoon, and it seemed like a good setting to plop down for three hours with a beer, chicken wings and baseball. 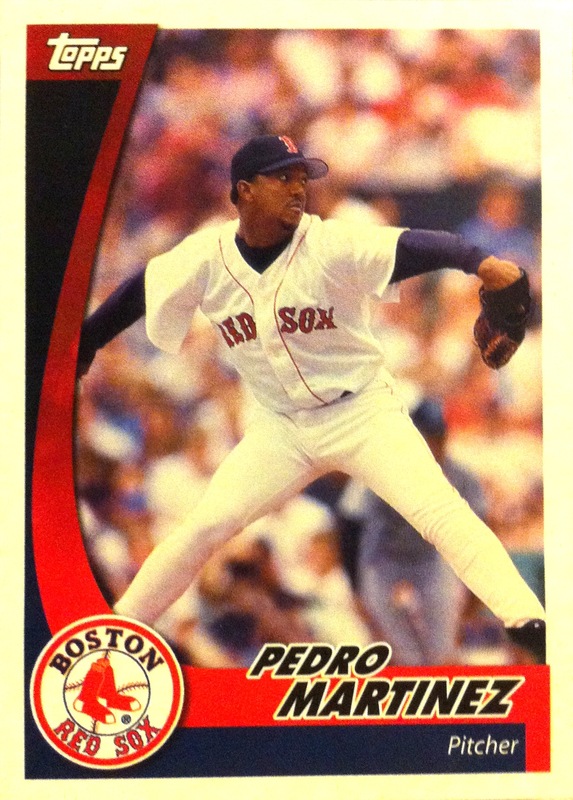 Pedro Martinez was on the mound for the Red Sox, facing off against the Yankees’ Roger Clemens. And before long, there were shenanigans. Pedro hit Karim Garcia, gestured to Jorge Posada to “use his head,” and when Roger Clemens threw a high fastball that came within about four feet of Manny Ramirez’s head, the benches cleared. And, famously, for reasons that aren’t quite clear, Don Zimmer, the 72-year-old bench coach for New York, made a bee line for Pedro, looking to exact revenge for — well, that’s not exactly clear, either. Zimmer charged at Pedro, arms aloft. Pedro took one step back, grabbed the old man’s head and spun him to the ground. Tim Naehring was the first player I memorialized on a hat. He didn't die or anything, though. Short of being a contrarian, I typically shy away from the most popular option in whatever setting I’m placed. My favorite band when I was a kid was the Beatles when Vanilla Ice reigned supreme; later, I got into Pearl Jam just as the rest of America seemed to be leaving them behind. I think I was proven correct on both bands. With baseball players, I shied away from throwing all my fan weight behind the most popular member of the team. Even at a young age, it never felt as though that player — Roger Clemens, for example — really needed any extra juice from me. I was drawn to hardworking players who had staked out a spot, played every day and had style. Dwight Evans and later Mike Greenwell fit that bill nicely, and they each rewarded me with hours of highlights in the process.